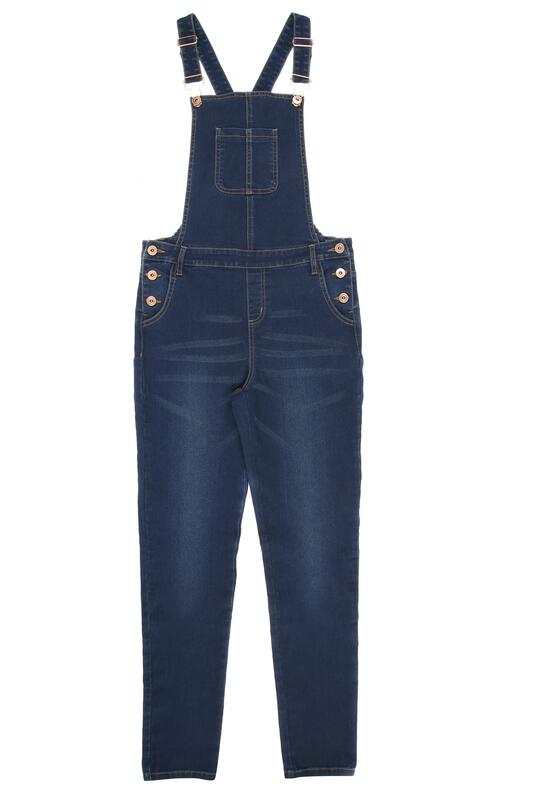 The dungarees are a style must have in any budding fashionista's wardrobe and is a versatile piece to team up with a variety of tops and layers. 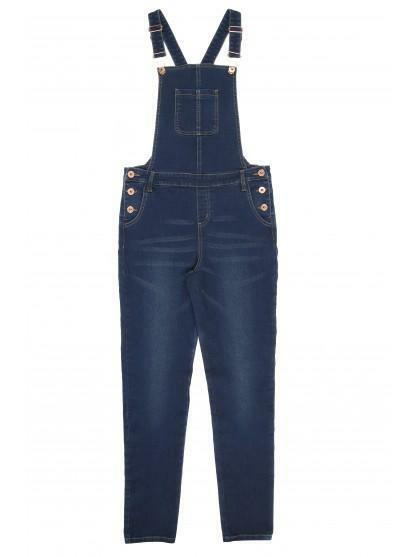 These skinny blue dungarees are a comfortable fit featuring bronze coloured buttons and a polka dot lining. Perfect for my skinny, but tall 11 year old.